Women rise against airport: WHERE IS THE MONEY? 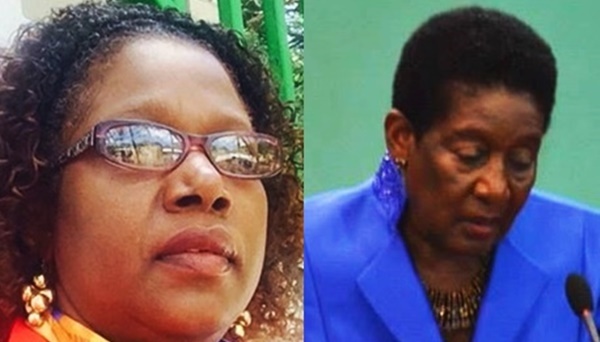 The two female Government lawmakers in the House of Assembly have challenged their colleagues to furnish the British Virgin Islands (BVI) with evidence that the territory can now afford the expansion of the runway at Terrence B Lettsome International Airport. Representative of the Fifth Electoral District Delores Christopher and Representative of the Sixth District Alvera Maduro-Caines cautioned the government during their respective contributions to the 2017 budget debate this afternoon, February 23. Both government members said they are not against the planned extension of the runway, but they don’t think the territory can afford it at this time. 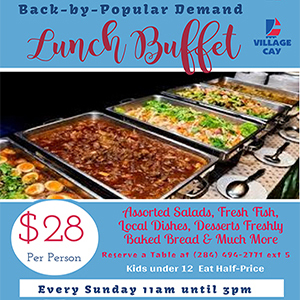 Maduro-Caines, who was the first to speak out against the project, warned that it is likely to hold the BVI hostage at a time when the territory’s largest revenue earner – financial services – is under international pressure. She added that there are several basic projects that are far more needed at this time, compared to the airport runway extension. “I am not against an airport. I simply do not think that it is feasible at this time. There are too many things in our country that need to be fixed that I think should take priority – our infrastructure. We have schools that are in need of much help; our roads are still a mess; our sewerage is still a mess. Our whole infrastructure needs a complete facelift,” Maduro-Caines said. Meanwhile, earlier in the parliamentary sitting today, another Government lawmaker, Dr Hubert O’Neal, admitted that some of the concerns being raised about the airport project are legitimate. But he suggested that the BVI cannot afford not to proceed with the development. “While we are hesitating, what’s happening is that the other islands in the Caribbean are also expanding their airport facilities as well,” added Dr O’Neal. “I repeat: I am not saying that we don’t need an airport. But is this the time to venture into such a great financial constraint that will probably hold us hostage for a number of years?” Maduro-Caines further said. Meanwhile, in December last year, Premier and Minister of Finance Dr D Orlando Smith announced that China Communications Construction Company (CCCC) has been selected as the preferred bidder for the runway extension project. CCCC has promised to do the project at a cost of just over $153 million, the premier said. His colleague Delores Christopher, in the parliament today, noted that the government has selected the ‘cheaper’ bidder. She further stated that, even if the United Kingdom has approved the project, the onus is on the local government to ‘take a deeper view’. Furthermore, Christopher told the parliament that, even without the airport project, enough tourists will still continue to visit the BVI. “We have to play our cards safe; we can’t throw ourselves over-board. Tourists will come; they will still come,” she further said.